Many think of the desert as a hot, dry, barren, and unforgiving place. 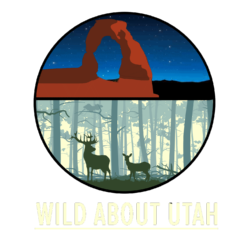 However, Utah’s deserts are chock full of interesting and diverse plants and animals! 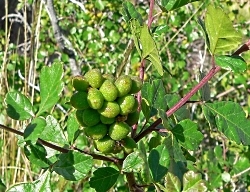 One such plant, which grows throughout much of Utah, is rhus trilobata or three-leaf sumac. Three-leaf sumac is a low spreading, many-branched deciduous shrub, usually no more than 3 feet high but spreading as much as 8 feet wide. 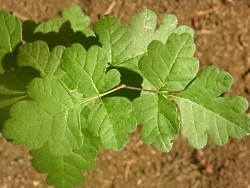 The small, trifoliate leaves and the branches are fuzzy. 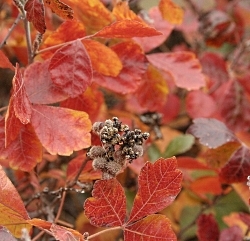 Given its many branches, three-leaf sumac provides both nesting material and structure for native bees. Flowers are yellowish and found in clustered spikes. They are followed by bright crimson to reddish, sticky berries. 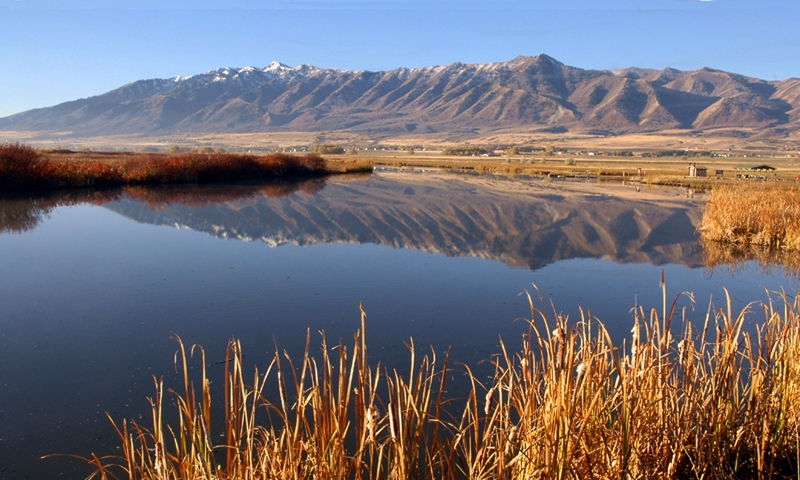 The fall foliage adds an extra pop of color to the landscape. My favorite part of three-leaf sumac, however, are the slightly hairy and sticky berries. Although historically eaten for gastrointestinal pain and toothache, the berries have a delicious sour flavor and can be eaten plain or used in oatmeal, ice cream, steeped in tea, or soaked in cold water to make a beverage similar to lemonade. These berries are high in vitamin C and have earned three-leaf sumac the additional nicknames of “sourberry” “lemonade bush” and “lemonade berry.” Other nicknames for this multi-purpose plant include squawbush, desert sumac, or scented sumac.